Parenting on Facebook: The unhealthy addiction and how it CAN hurt your family…. It’s natural, one sees another person being on vacation, having their kids sitting and posing for a photo and BAM, another “one” sees this photo, while her kid is running around screaming and throwing anything she can get her hands on and BAM, jealousy, rage, bitterness, shame and then the biggest epidemic GUILT. What to do? Of course turn Facebook off, but usually it doesn’t work that way, this is the moment to go deeper into jealousy, rage, bitterness, shame and then (sigh) guilt. How can it stop? There is no point to this, we truly have no idea about this other persons real deal, maybe it is as it seems, or maybe not. It’s an unhealthy addiction and like any other must be monitored or it can be really harmful. What has been happening to the parents I work with, who are having this FB addiction comparison struggle? They are flipping out (unconsciously) on their kids. They are secretly holding grudges and anger that are leaking out on their kids. They are holding this “not doing enough” energy and their families are feeling it. It’s not good, and it’s affecting the parents self worth. This has turned into a PSA: Limit the time and set an intention of what you are doing on Facebook. Your family needs you to be present to THEM. I would love to hear your feedback on this, please comment below. For the longest time, 8 years, my kitchen faucets temperatures were reversed. I asked my Superintendent to fix this, but it didn’t happen, and I understood it wasn’t a major priority. So I adjusted. I knew this was the deal in my kitchen, there were some water burns along the way, and when I approached my sink, I had to physically and mindfully stop and think, “Ok this is supposed to be cold but it’s hot” and then turn the water on. Eventually I completely adjusted. It didn’t affect how I approached any other sink anywhere else in my apartment or elsewhere, just in the kitchen. Recently I had a leak and the super not only fixed the leak, but also corrected the hot and cold knobs. I am now newly adjusting to this updated version of hot and cold. It’s not easy and once again I must slow down, physically and mindfully and only then can I turn the water on. Several scalding hot experiences later, I must use this sink at an even slower pace. Why am I sharing this? I asked myself; “what can I learn from this sink ordeal?” Along with slowing down to do a task. I realized how getting into a known routine feels safe and comfortable. I adjusted to WHAT DOESN’T WORK. One perspective is: I can find the correctness in any situation, the other perspective is: Why do I have to adjust to what doesn’t work? I think and work on and with families on radically relating to each other. How much of our relationships within our families DON’T WORK, but we adjust and work around it, ignoring the issue or challenge. How many feelings and priorities are burned along the way? Why as a society is it the norm to act as-if all is good, when it’s not? I see and know the difficulties lie in the idea of being uncomfortable. I myself like to be comfortable. Getting the family to open up and change (getting my faucets fixed) will bring some awkwardness, some strange silences, but most of all it will bring up FEELINGS. Why are feelings avoided? We disagree, we have the same conversations over and over, nothing changes. It’s easier this way, it’s easier to adjust, but it’s not healthy and it doesn’t promote growth. I wish you all the power to DO YOUR BEST, with your family this holiday season! How One Mother Learned to Find Balance and Joy (NY Metro Parents Magazine). One mother of a daughter with autism was going through a lot of changes in life when she found something that seemed empowering, new, and different. 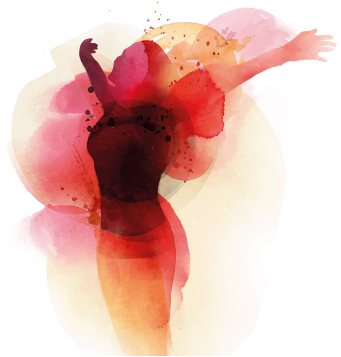 Her story, as told to Kaitlin Ahern, shows how a day of joy helped her release negative feelings and embrace the power of self-care. My daughter is 7½ years old, and she has autism. She was diagnosed a little over 3 years ago, and caring for and raising her is still a learning process for me. About six months ago, I was told she wasn’t progressing in school. The process of finding her a new school where she could thrive was stressful—it was like a weight, a burden on my shoulders. I live in Crown Heights, Brooklyn, and at about the same time I was having problems with my landlord and saw my rent increase dramatically, so I decided to give up my home. I was going through a lot of changes in my life at that time, and I was open to something that seemed empowering, new, and different. So when I heard about the A Day of Joy workshop in Williamsburg, Brooklyn, I thought I’d give it a try. The workshop was presented by Shane Kulman, M.S. SpEd, founder of Your Beautiful Child, whom I had met at an Autism Chalk Festival in Prospect Park earlier this year (she is a beam of light!). Shane is a special education therapist and family coach, and the A Day of Joy workshop was meant to empower parents and caregivers of children with special needs, as well as the professionals who work with them, with a sense of self-care, self-love, and a feeling of community. I woke up the morning of the workshop optimistic and excited to see what it was all about. When I got there, I found a small, intimate group of parents and professionals and noticed the positive vibes. We did some meditation, breathing exercises, and journaling, and we had open conversations. I felt like I really connected with people who I had met for the first time that day. Afterward, I felt lighter, like I had just released a lot of the negative emotions we all experience—doubt, fear, uncertainty. And I left feeling like a new person with a different view on life. Since then, I’ve had good days and bad days, but I keep telling myself that in due time, everything is going to be alright, and that I just have to stay focused. I keep revisiting that day, and it puts a smile on my face. I continue to try to find a balance between caring for my daughter and caring for myself. When she was first diagnosed, I was a total wreck and completely overwhelmed. Even sitting down for a few minutes during the day to take a breather made me feel guilty. I’ve learned over time that it’s not a crime to take time for yourself, because you need it—I need time to recharge so I’m able to take care of my daughter to the best of my ability. I know that if my child senses that I’m stressed out, sad, or overwhelmed, those feelings project onto her. Still, it’s hard to find that balance and beat down the guilt and doubt that rise up when I do something for myself. I try to keep in mind that I’m just human, I’m only one person, and as long as I put my best foot forward, that’s all I can do. I know I need to care for myself so I can be around to care for my daughter in the long run. 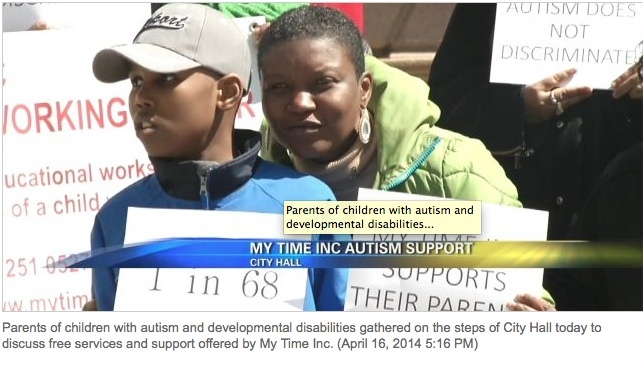 Tiffany Caldwell is a Brooklyn mom, a mental health therapy aide, and a passionate advocate for her daughter, who has autism, and for the special needs community at large. She enjoys spending time with her daughter in the plentiful green spaces throughout Brooklyn and watching her child’s imagination blossom through art. Has your child or someone you know been diagnosed as having a learning disability, as having OCD, ADD, ADHD, Dyslexia or Autism? In this reality these amazing beings are labeled and limited and are judged as having a Dis-Ability but what if the way these beings function from is really more of a Super-Ability? What if they are not disabled at all but rather highly ABLE and we are the disabled ones? My wish in writing this article is to demystify what Autism is and remove all obstacles and illusions of separation we have been taught in this reality that these beings are anything other than miraculous and awe inspiring so we can come together from this space of oneness. What if it was far easier to communicate with total ease with these kids and adults who happen to be a lot more conscious than we give them credit for? What if by following our knowing and trusting our awareness without judgement, we can reduce any stress or frustration we may be experiencing and have more ease relating to our friends, family members, and loved ones living on the Autistic Spectrum? What if individuals living on the spectrum were naturally functioning from a much higher level of telepathy and knowing as well as vibrating from a much faster and higher frequency than we ever imagined possible? Autistic children pick up every thought, feeling and emotion within a thousand miles. They are intuitively logical and logically intuitive. If you can alter your communication you will see that they are lightening fast and continuously responding to your thoughts. By Using and applying RICH Clearings, you can unlock the doors to a more loving and peaceful relationship with your loved ones and mostly get out of your own way by unlocking their special gifts, talents and magical abilities that you were never told about when you first received the “diagnosis” of Austism, ADD, OCD, or PDD. I have been offering healing sessions both in-person and over the phone to reach people all over the globe in honor of you the caregiver and wayshower of these highly gifted & higher inter-dimensional beings who are our greatest teachers! 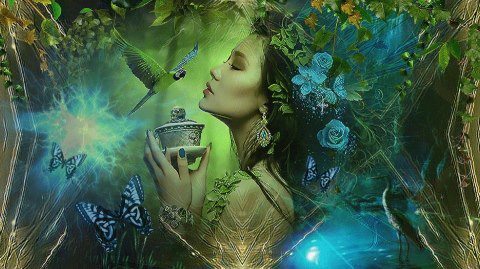 I gently & compassionately assist my clients to bring up any old resistance, judgments, limitations, illusions, lies, stories, programs & unconsciousness around what we bought as true about Autism and blast them all out of this existence by releasing and clearing them away as if by magic. Many families have been greatly helped to live from peace instead of stress in their daily lives even after just one session. occur for all of us as we are all one. What I’ve learned along the way is the only “cure” for Autism or any other different way of functioning in this reality is to operate from a place of pure and unconditional Love. Here is a letter I wrote to my own son who is now 21 when I attended a conference in NYC about Autism for Parents & Caregivers which changed all of my points of view so I can be fully present in all of my interactions with my greatest teacher who chose me as the perfect personal navigation system for this reality. Here is a lovely testimonial from a very grateful Mom raising her daughter with Aspergers. If you or someone you love is struggling with understanding Autism and would like to heal your relationship with the diagnosis as well as with your family members, receive all the healing you need by listening to our live archived tele-class on Autism by clicking here. Its only $25 and the MP3 includes emotional clearings, creations and a customized Healing Activation. To learn more about Vandana, her healing sessions, and to view her upcoming in-person and tele-classes, visit her website at http://vandanarichhealing.com/. I’m going to be very vulnerable in this post for the benefit of all who read it. Let me start by saying, “I HATE FLYING.” I realize it’s a necessary evil as I receive more requests to give presentations out of state. Between the bright lights, echoing overhead announcements and people repeatedly bumping into me at the airport, there’s the rapid pressure changes and unpredictable motion of the airplane itself. You’d think that would be enough to send me into a meltdown. Yesterday I woke up at 4:30am to get to the airport to fly to New York for a presentation that night from 6:30-9:30pm. The landing into New York had significant turbulence and in addition to praying to God I gripped the seat in front of me so tight that I had a hard time letting go and my hands were stiff and sore. The rest of the day went smoothly and I did an awesome presentation, met some amazing, generous people and received some of the best feedback I’ve ever gotten. I was back to my hotel and resting by 10:30pm. That’s a 15 hour day with about 1 hour of downtime in the middle. I awoke the next morning feeling pretty worn down and very eager to get home to my family. The flight out was fine and I had a layover in Philadelphia before heading home to Chicago. I didn’t realize how overloaded and fragile I’d become from my intense schedule until the following happened. After sitting in the airport for over two hours, 20 minutes before my flight was supposed to board, they announced the flight had been canceled because of problems with the plane and they didn’t have another plane to replace it. I quickly took out my itinerary and called Expedia whom my client had used to book the flight. The woman who answered was cold, monotone and clearly following a script. She gave me some crap about what she couldn’t do because of how the flight was booked and BLAH BLAH BLAH. She told me I had to go to the customer service desk for the airline. By the time I located customer service the line was at least 100 people deep and not moving. It was then that someone announced that there were no available flights to Chicago and that we’d have to make overnight accommodations after booking another flight. I began shaking, my eyes began to tear up and all of the sounds in the airport became louder and the lights became brighter as I contemplated having to stand in this 100 person line for an undetermined amount of time in the hope of getting home. I was beginning to shut down which was making it hard to think and hard to speak, I couldn’t think of what to do. So I did what I encourage every other spectrumite to do in a situation like that. I called for help. Who did I call? My wife Cathy. I explained in my very shaky voice what was happening and how much difficulty I was having even thinking. My darling wife Cathy who is a greater gift from God each day that I’m with her, remained very calm and guided me step by step in what to do. The woman I asked for help is named Shawn and she gently took my bags and told me to sit down in her tramcar because she could hear the tremble in my voice and could see how badly I was shaking. She took my itinerary, asked me a few questions and said she knew someone that could help. I sat bent forward, doing some stimming as Shawn navigated her tramcar through a sea of people as Cathy continued to talk to me and keep me calm. When we stopped Shawn asked if I needed anything and I said, No. She said she was going to talk to someone about helping me and she’d be right back. It seemed like an eternity and Cathy kept talking to me. Shawn came back with a gentleman right behind her who handed her a boarding pass with my name on it for a flight that would be leaving an hour and a half later than my original flight was supposed to. When there were no flights to be had until tomorrow, Shawn knew I needed a solution. Shawn asked her supervisor Dale for help. He got me a seat on what I later learned was an overbooked flight. When we were seated I was surprised to discover that my seat was in the fourth row so I would be one of the first people off the plane. I am now home sitting on my own coach as I write this to you in order to convey one simple truth to my fellow Spectrumites that you must never, ever forget. There is absolutely no value in going through your life stubbornly refusing to ask others for help. I was seconds away from a full blown meltdown at the airport so I called my wife Cathy who helped me find Shawn. Shawn led me to Dale who helped Shawn help me. I am sitting here so grateful and humbled to my core by how generously and tenderly I was taken care of today by my soul mate and two complete strangers. Thank you doesn’t even describe it but I’ll say it. Thank You Shawn and Dale at the Philadelphia Airport, you did your employer U.S. Airways a tremendous honor by how you conducted yourselves today. To my wife Cathy, I will continue to treat you like the gift you are until my last breath. To my fellow Spectrumites, as often as I use my own life as an example of who we can be at our strongest – I also want to use my life to demonstrate how absolutely necessary it is to have others in your life who are prepared to help you in your most vulerable moments. Needing these people isn’t a sign of weakness so get that pile of crap from between your ears right now. It is never a sign of weakness, it never was and it never will be. It is, and always will be the precious gift of service that human beings give to each other. I am so eternally grateful to those who helped me today, and I hope my sharing this has helped you. Please share this with others. Brian R. King, LCSW (ADHD & ASD Life Coach) is a #1 Best Selling Author, 25-year cancer survivor, adult with Dyslexia, ADHD, and Asperger’s. He’s also the father of three sons on the autism spectrum. He is known worldwide for his books and highly engaging presentations that teach the power of connection and collaboration. His strategies empower others to overcome their differences so they can build powerful and lasting partnerships. His motto is: We’re all in this together. Thirteen years ago, my mother-hero’s journey began. My almost-three-year old’s teacher stopped me at the classroom door. “We’d like to have someone from special ed come in and observe Ellana. She’s not like the other children.” My heart raced. My world whirled. Hours passed and I began to extract meaning from the teacher’s words, concluding that she thought something was wrong with Ellana. I wept. I raged. I decided that Mrs. Francis was wrong. I refused the Call to Adventure. I rejected the labels the teacher and observer wanted to associate with my beautiful, brilliant daughter. Twelve years ago, I acknowledged that my child was very different from the other preschoolers and accepted the challenge to be the kind of parent (I thought) she needed. I decided to overcome the autism spectrumy thing. I donned my battle gear. I read, researched, and planned. I drove my daughter to therapy appointments and sampled treatments of many flavors. I had a goal: I would help Ellana to modulate odd behaviors and acclimate to the ordinary world. I would fix the glitches in her system. I would make my child normal. Eleven years ago, when my second child was two, he was evaluated and given an autism diagnosis. While Ellana’s way of being defied labeling, Daniel had never spoken a word. He pressed the buttons on his toys repeatedly. He gleefully stemmed, flicking his hands in front of his face. He was happy, affectionate, intelligent, and obviously autistic. Nine years ago, my first grader was in her fifth school in five years, when we were asked to withdraw midyear. I plunged into the abyss. Amidst deep, dark despair, I experienced a moment of insight: I would teach my daughter at home. After five years of homeschooling, after much yelling, crying, and foot stomping from mother and child, revelation dawned: I did not need to fix my daughter or her brothers. They were not, and never had been, broken. None of them resembled the children I had envisioned, but they were perfectly themselves, and I loved them, no changing required. Four years ago, my three children went to school. For the first time in eleven years, I was home alone during the day, so I decided to write a book. 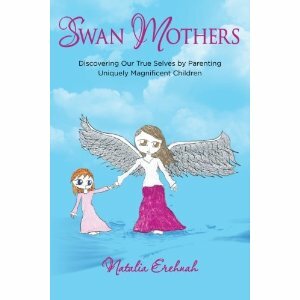 I interviewed mothers of autistic children and wrote about the transformative power of our parenting journeys. I was healed and enlightened. I recognized my children’s inherent awesomeness. Life was easy and good. And we lived happily ever after. Cue the laugh track. While the above is an accurate, though drastically abbreviated, telling of my parenting experience (the whole is told in Swan Mothers: Discovering Our True Selves by Parenting Uniquely Children), and though I did feel as if my mother-hero’s journey had come to a natural conclusion, I relaxed on my (virtual) lounge chair on the beach, margarita in hand, rather briefly. The end was not The End, but a curve in the spiral of life, circling into another loop of The Journey. I had arrived . . . somewhere, yet felt more unmoored than ever. gave my life purpose and meaning. who knew what my children required. not indispensable, for they were competent and complete. forged the woman I am today. who aim to advise less and listen more. Since I first heard the word autism, 13 years ago, my Awareness has expanded exponentially. My worldview widened, and continues to grow. I evolved, and continue to evolve. Before autism (and my children) expanded my Awareness, I was very certain of what I should do, how people should act, and how the world should be. Because my children didn’t match my image of how children were supposed to be, because I loved them, and because I wanted to be the mother they needed, I softened. I realized the value of being like bamboo, flexible and bending with changing conditions. I recognized the importance of acknowledging when I was wrong. I learned to be different from the mother I’d been expecting to be. Without the gift of autism, I would be shallower, more narrow-minded, and more rigid. Thirteen years into the journey, I am trying to not try to figure out a new purpose for being, striving to adjust to the flow of life’s currents, and learning to thrive in this uncertain space. I do not remember what I know every day. I relearn lessons I previously mastered. I slip, stumble, and fall. I notice twists, hills, and valleys on own journey honor the journeys of those around me. The spectrum of people on the planet today is an invitation to see the essence of one another. It is an invitation to look with new eyes and listen with new ears, and to perceive with our hearts or our senses. It is an invitation to expand our perceptions and evolve. It is an opportunity to embrace uniqueness and individuality while recognizing our oneness. Natalia Erehnah lived her first 29 years in beautiful and secure ordinariness, enjoying a pleasant childhood, school and job success, easy friendships, and a happy marriage. Motherhood landed her in a new land, for each of her children arrived with a clear mission and unique way of being. One was diagnosed with autism. None developed in accordance with timelines or charts. Life as she knew and envisioned it, was over, and the journey of a lifetime had begun. Natalia loves connecting with mothers on-line. I am a proud parent of a son who has autism. It sure is not easy. Some days are great, while others are not so much. I live with my son, (my only child), my husband and my mom. I have a good deal of support at home, even though often times it seems as if I am a single parent. It can be overwhelming and stressful to parent a child with special needs. Nevertheless, I always believe there is a light at the end of the tunnel. I always strive to be at peace, to think positive and to be full of joy. Each day I remind myself that I need to be who I want my child to be. (Thanks Shane). Parent support has become such a a valuable part of my life. We are here to help each other get to where we need and want to go. I belong to a parent support group called My Time Inc., which I believe is like no other parent support group out there. It’s a group that empowers and uplifts its parents to be the very best they can be for themselves as well as for their children. We believe that in order for our children to be happy and loved, we as parents need to be happy with who we are and to love ourselves unconditionally. We have come to know this and we do put ourselves first at times because if we don’t, no one else will. The parents at my support group are not only parents of children with special needs, they have become my friends. They really do care about what is happening with me and my child. We call each other, we check up on each other, we go out together and we support each other, no matter what. We laugh together, we cry together, we have each other’s back. It’s good to know that I am not alone, my friends are a phone call away. I am thankful for these wonderful women and men who were given this incredible opportunity to care for these wonderful and beautiful children with special needs who depend on us for so much. I believe we were carefully chosen by Christ to do his wonderful work. We all need support and I am very fortunate to have each of these parents as my rock. It’s great to know that I am not alone on this incredible journey. I am thankful for this blessing each day…..
Because I have a child with special needs doesn’t mean that I don’t have hopes and dreams. I know many of us parents were professional women who had to leave their jobs and careers to become full time care givers and that’s okay. We made that difficult but necessary decision because it was the best thing to do at that time.When our son was first diagnosed with Autism, my husband and I decided that we would not have any more kids mainly out of fear as well as the constant worry of what will happen to our son as he becomes older. But as the years go by and our children gets older, we parents, especially mothers, realize that something is missing from our lives, we feel incomplete. Yes we are great mothers, wives, daughters and friends. But then we start asking ourselves, where am “I” in all of this? What do I want to do with the rest of “my” life? Our lives should not come to a screeching halt just because we have a child with a disability. We have so much more to offer. When the opportunity presented itself for me to become an entrepreneur, I jumped at the chance. This was something I would love to do. To become a Business Owner/Partner of Traci Lynn Fashion Jewelry. This business is so much more than Jewelry. It’s about the friendships that are cultivated, the networking, the partnership of like-minded people, the incredible stories of lives changing, the inspiration. As our leaders always say , “You’re in business for yourself, but not by yourself”. I love jewelry and I know many more women do as well. This business would allow me to become financially independent and would be the tool that I can use to leave a legacy for my child. My husband and I realized early on that our son would need so much support for the rest of his life. In order for him to live a life we know he deserves then we would have to have a reliable and steady stream of income because we would not and could not depend on Medicaid and Social Security to provide for all of our son’s needs. I also realize that I am not alone with these thoughts. Many mothers out there are thinking the same as me. I will be able to show them how they can also become business owners and how they can also provide for their child’s future by becoming my Partner in this incredible business. We all have to take that first step….we are “HERE”, where do we want to go next…..the sky’s the limit….. If you would like to see the beautiful jewelry I am offering, I invite you to look at my website and treat yourself! 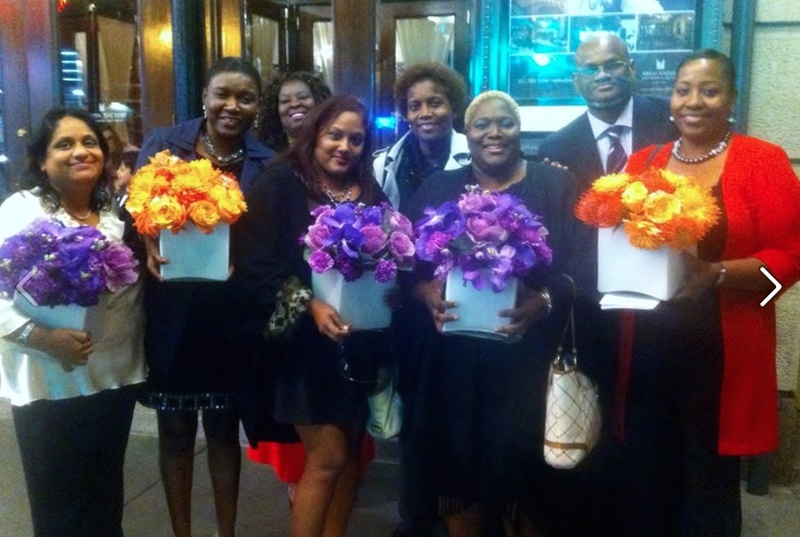 It is Mother’s day you know…..
Care of the Caregiver… YOU! I’ve graduated and will occasionally take a several week or month vacation during the school year, is this extreme caregiving for myself? I think, no. Some say extreme, I bet some say spoiled… I now understand the importance of bookends. When I set out to work, I am aware that before and after I must include time where I do something for myself. It may be a simple cup of tea, or a massage/spa visit. I believe everyone is a caregiver in some aspect. Parents, Grandparents, Aunties and Uncles, babysitters, teachers, therapists, Nurses, Doctors, dog owners… you get the idea. The parents I work with that have children with special needs, are constantly caregiving. There have been very few who make the time to withdraw from caring about others and take care of their Self. So many parents pick food from their children’s plates, or eat standing up, don’t get dressed or spend every last penny on their child. After a while the caregiving well, goes dry. Parents often feel drained, wasted of energy and limited in options. When I suggest a yoga class, a writing class, or to join in to any group activity that does not revolve around parenting, they look at me like I’m a dreamer, like I’m out of touch with reality, and then I see the guilt forming, “WHAT!?!? spend time on myself?!!?!? When my child is so far behind?” I even suggested to a Mom to go out to dinner with Dad with a dress on, and I would stay with the children, she laughed at me and said we talk and eat when the kids go to school. Hmmmm, is this the same as wearing a dress at a restaurant? I think not. Children learn from watching, this has been researched and proven. If all the young girls are watching their Mothers caregive and serve constantly, how will they learn to be independent and self expansive? Special needs children, including non-verbal children see and feel what is going on around them. I see the neediest children become ultra demanding when they are in need of something. What happens after their demand, that may result in a temper tantrum/meltdown? A Parent is running to serve them. What is the valuable lesson here? Yup, the bigger the meltdown and demand, the faster a parent runs. Children with or without special needs, even pets, learn how to rule through behavior and reactions. I believe there is always time to be made for caring for the caregiver. Even if its a bath, or journaling time. I would say shopping, but you know who gets shopped for… everyone else. Dearest friends – No matter who you are caring for. You can serve them on a higher level, if you take time to serve yourself. Your health and those you love will love you for it. We are verbal beings. We currently live in a mass culture dominated by the word, and our current popular culture seems to thrive on gossip, actively encouraging its citizens to talk about other people. Our word is powerful, and the way in which we speak our words has great influence and real impact in our lives. Who has not experienced the feeling of choking up, of being unable to speak? We struggle at times to ‘find the right words’. We may feel we say the ‘wrong’ thing, and experience harmful words flying from our mouths before we can stop them. At other times, we may force ourselves to stay quiet, to avoid trouble, when we truly have something we want to say. All of these situations may indicate an imbalance in the throat chakra. This chakra is the home and source of truthful and meaningful communication. The Sanskrit name for the throat chakra Vissudha, means purification. When we team this concept of purification with the purpose of this chakra, we begin to understand that truthful communication which is clean and wise, impeccable and full of integrity is not only desirable – it is good for us. When we have a healthy throat chakra, we are mindful of what we say, and why we are saying it. 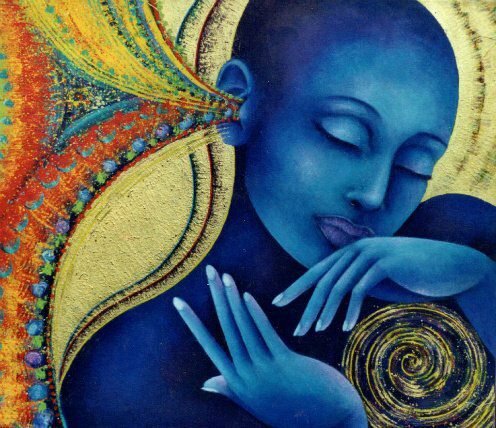 Another important function of the throat chakra is the act of listening. This includes listening to the outer world with our physical ears, as well as listening to our internal world. When we focus attention internally and listen to what our bodies are telling us, we begin to hear the truth of our own inner story. Thoughts and fears are trying to communicate. Body sensations carry meaning and a yearning to be heard. As we begin to hear our inner story, we experience a deeper resonance with our true self. The throat chakra is also the gateway to our unique creative expression. Creativity, be it through dance, art, language or music, gives expression to our inner discoveries. We can develop our creative self through awakening the throat chakra. As we open and heal the throat chakra, we actively begin to speak in a way that creates a more harmonious life. We open up to authentic self-expression and we become more attentive to our own truths, as well as the truths of others. 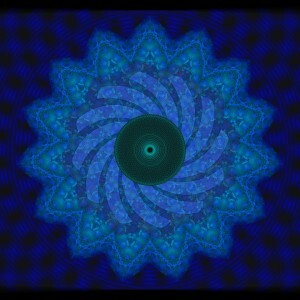 The throat chakra, more than any other, governs our relationship with vibrations and resonance. We can resonate with the vibrations of music, people, ideas, environments or even the universe. When we find this resonance, a sense of harmony and rhythm is experienced. When not in resonance, we sense a feeling of discord. We may feel that we do not fit in or belong. Although the energy of the throat chakra is more subtle than the lower chakra energies, it’s still incredibly powerful. Just think of how a singer can break glass with her voice – the vibrations from this chakra can and do affect matter and therefore us. We all tune into vibes all the time. Working with the throat chakra increases our awareness of this energy and its impact. There are a variety of techniques to aid purification including what the Buddhists call ‘wise speech’, periods of verbal silence and the practice of chanting. 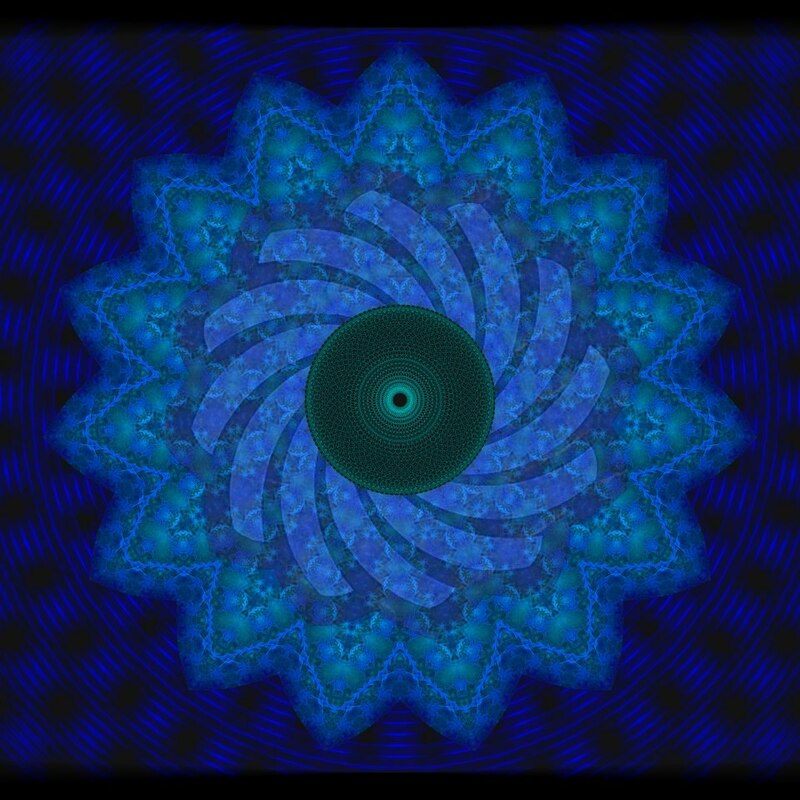 When the throat chakra becomes purified, we awaken to the more subtle communication abilities of telepathy. Simply answer YES or NO to each of the statements below. The more YES answers you can honestly give yourself, the better you are balanced in the throat centre. ∆ I am a good listener. ∆ I do not gossip about others behind their backs. ∆ I have a good sense of rhythm. ∆ I have a strong clear voice. ∆ My creative life is important to me. ∆ I am able to express myself clearly and effectively. ∆ I pick up on ‘vibes’ easily. Blending free-flowing movements with particular frequencies of sound, Chakradance is a dynamic dance journey through the 7 chakras. The movements of the throat chakra have been inspired by many ancient dances. So many cultures all over the planet interweave the voice and dance to increase the awareness of spirit. The Greek word horus refers to both dance and song, and is the origin of the word chorus. In Ancient Egypt, performers often danced while reciting poetry, while in Hawaii, chant and dance are blended to communicate the story. In Tibetan culture, mystical rituals performed by monks interweave chanting and sound (gyaling horns, cymbals and bells), with delicate movements of the body. In Chakradance, we weave sound and movement in a ‘mantra-dance’ to intensify our self- expression and creativity. In our classes, we complete the dance of expression with the creation of a personal “mandala” artwork, which we find helps to integrate and contain the energy that has come up during the dance. These crystals may be placed on the location of the throat chakra (throat cavity) for clearing, revitalising and healing. You may even choose to carry one of these crystals with you throughout your day. These oils can be used in massage treatments, burned in an oil burner or you may even add a few drops in to your bath. Affirmations are a powerful way of communicating with your inner self. Use these positive messages (or find your own) as part of your healing process for your throat chakra. 1. Have the intention of always being open and honest with your communication. Try to keep communication meaningful, not indulging in gossip, lies and pointless chit-chat. 3. Acknowledge that ‘listening’ is as much a part of communication as talking, and practice active listening. 4. Be open to higher levels of communication (telepathy, clairaudience, channelling). 5. Explore ways of connecting with your innate authentic creativity eg. dance, painting, the way you dress, cooking etc. Sit in a comfortable position with a straight spine. Begin by exhaling as much air as possible from your lungs before taking in a deep, slow breath through your nose, refilling your lungs. On your next exhalation, make a soft humming sound like a bee. When you run out of breath, take another deep inhalation, continuing the humming sound as you exhale. Begin with a few minutes practice, working up to 10-15 minutes at a time. When you have finished your humming breath practice, lie down and relax for a few minutes. Experiment with wearing the colour sky-blue or bring this colour more into your life. Open yourself to some new creative projects – it may be as simple as getting creative with your wardrobe or experimenting with an unexplored medium like sculpting! Spend a few minutes each day chanting the seed sound of the throat chakra which is “hum” or find a mantra that works for you. Be sensitive to your environment and the people around you and try and tune into the “vibes” – what resonates for you and what doesn’t? Listen to your own inner voice! I’ll be talking about the third eye chakra, and how to balance it, next week. Natalie Southgate – Founder of Chakradance.